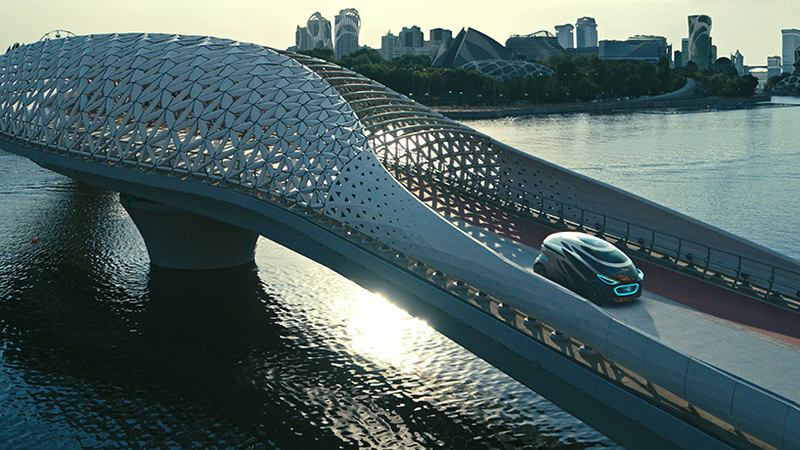 mercedes-benz presents its latest imagination of future transportation: vision URBANETIC. 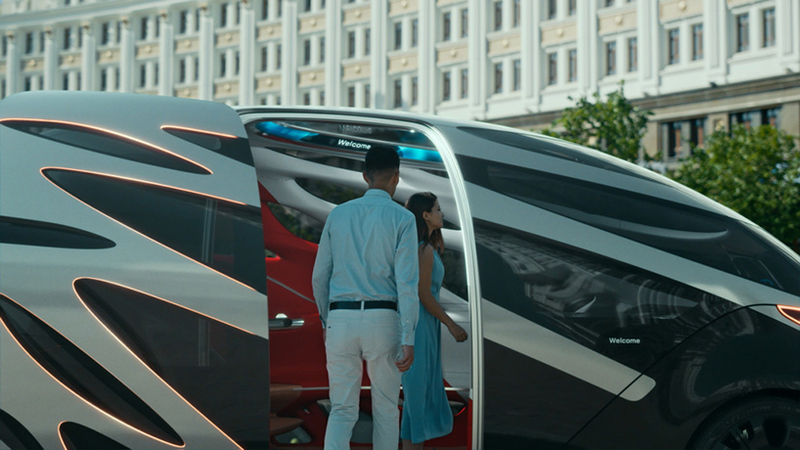 the autonomous mobility concept eliminates the separation between the transport of people and goods by enabling on-demand, sustainable and efficient movement of both. 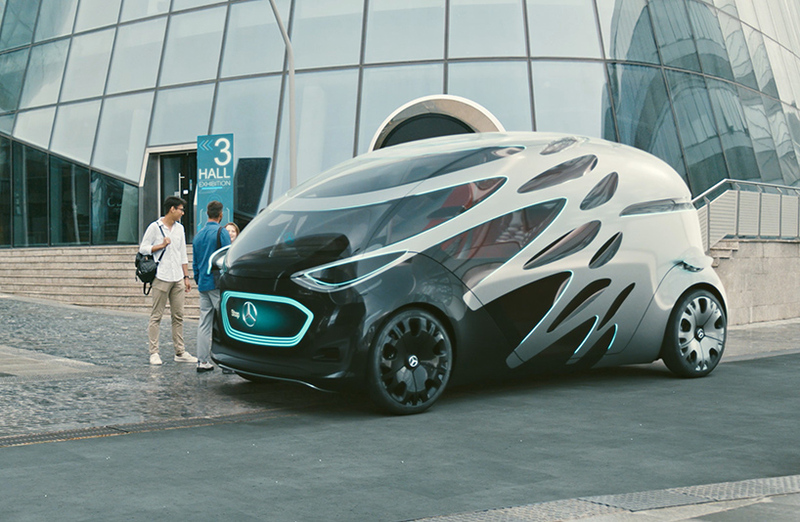 mercedes-benz vision URBANETIC can be fitted with a cargo module, or a people-mover module, thus reducing traffic, relieving inner-city infrastructure and contributing to an improved quality of urban life. 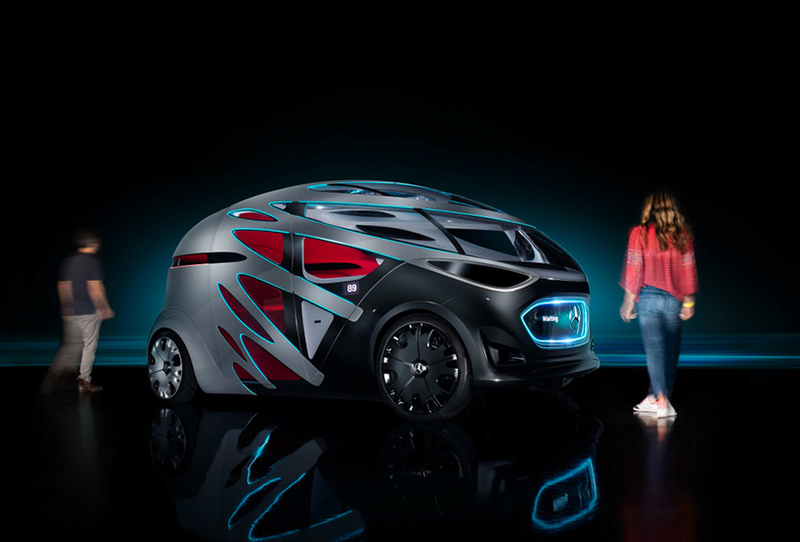 as part of a holistic system, vision URBANETIC is based on an electrically powered chassis that can switch bodies depending on the required use. 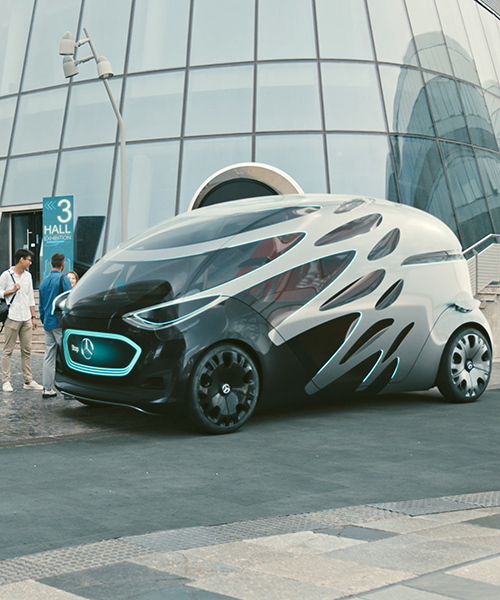 as a ride-sharing vehicle, the concept can accommodate up to twelve passengers, while the cargo module can carry up to ten pallets. 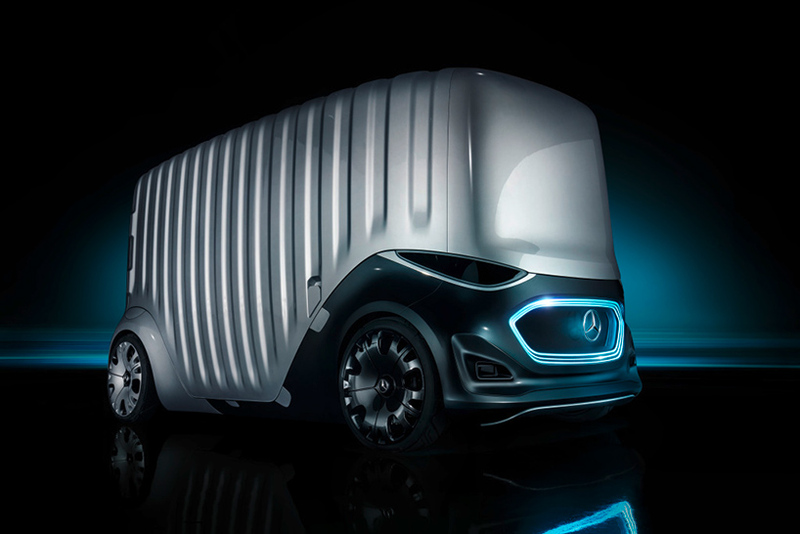 with vision URBANETIC, mercedes-benz envisages transporting more people and goods with fewer vehicles with the goal of facilitating an improved quality of urban life. evaluation of local information –- such as concerts and events -– and intelligent control can analyze current needs and anticipate future ones. for example, if vision URBANETIC identifies a crowd of people gathering in a certain area, it can send vehicles there quickly and efficiently satisfy the demand. to achieve this level of flexibility, vision URBANETIC is equipped with different interchangeable bodies depending on purpose of use, with modules switched either automatically or manually in a matter of minutes. 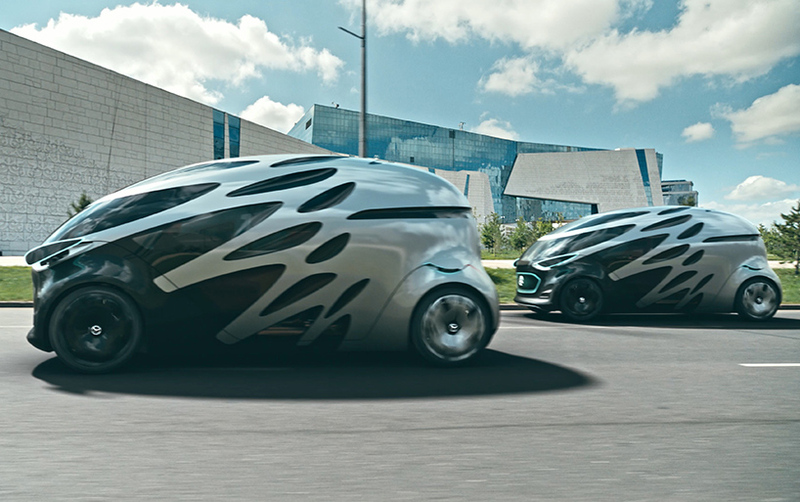 the autonomous chassis can even make its way to its next location without any body attached. internally, the absence of a driver’s cab frees up space for interior design, leaving out steering wheel, pedals, dashboard and the entire cockpit. the space is instead used for additional passengers or a higher goods volume. 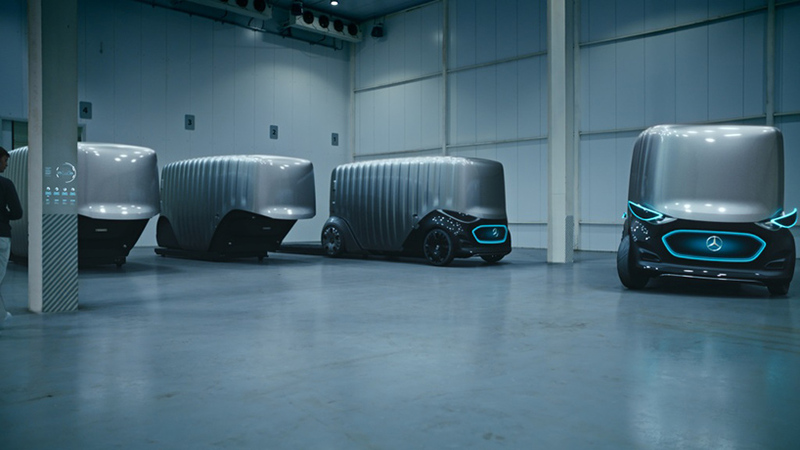 vision urbanetic’s electric drive delivers zero-local-emissions mobility, thus making virtually noiseless and presenting new options for late or night-time deliveries. finally, as many people still view autonomous vehicles with the certain degree of skepticism, vision urbanetic uses multiple cameras and sensor systems to observe and communicate with its surroundings. a large-format display on the front of the vehicle inform pedestrians crossing the street in front of it that it has noticed them. I want to live in a Mercedes-friendly future, this looks very uncongested and functional.